Aside from the education of my personal experience, I completed graduate studies in Human Development and Psychology at Harvard University and have a Masters Degree in Mental Health from Cambridge College. 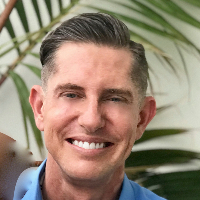 I am a Licensed Mental Health Counselor (LMHC) and a Master Certified Addiction Professional (MCAP) in the State of Florida, practicing as a psychotherapist for over ten years. Over these years, I have had an opportunity to work with people from many different backgrounds and challenged by a whole range of problems including addiction, depression, anxiety, relationship issues, behavioral problems, and an inability to cope with past traumatic experiences. While I have been trained in many different styles and “theories,” my helping approach is fairly straight forward and draws on many different traditions: In my view, there is no doubt that what we have experienced in the past shapes who we are and how we see ourselves, others and the world. Therapy is a process of connecting the dots between where we have been and how those experiences influence our thinking and behavior today. Often, our past experiences have us thinking and acting in ways that are irrational and self-defeating, causing problems in all areas of our lives. I provide a safe, non-judgmental, and unconditionally supportive space for folks to share who they are and what they have been through. I partner with them in taking what we might call a “therapeutic microscope” to the thoughts, feelings, and behaviors that accompany the circumstances of their lives, supporting them in reinforcing what works and finding alternatives to what does not. The dude is the man, he goes above and beyond to help me understand my situation, and to give me tools to handle life. Would recommend him to anyone looking for counseling. Scott is very knowledgeable and supportive. I feel like he knows me better than I know myself at this point. He has really helped me see what areas I need to work on to make my life and relationships better. I would definitely recommend! Would you like to write a review for Scott Gallo? We'd appreciate if you can spend a couple of minutes to write a short review for Scott Gallo (LMHC, MCAP). This review would be shared with Scott Gallo. It may also be posted in our website or in Scott Gallo's profile but it would be anonymous and your identity would be kept completely confidential.